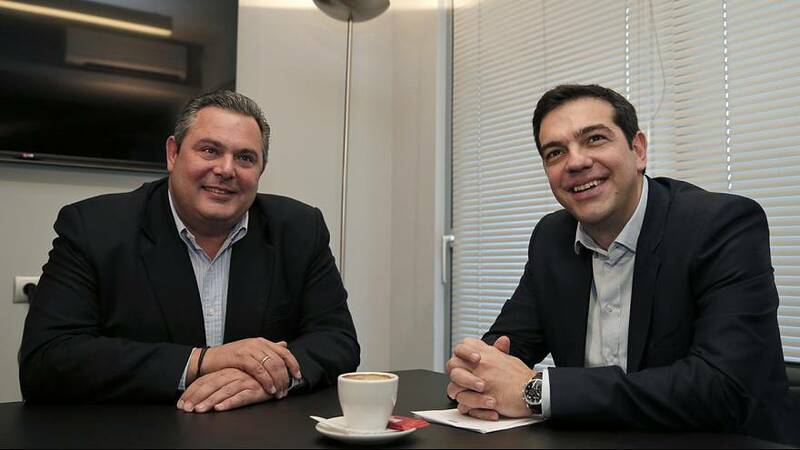 Fresh from his Syriza party’s crushing victory at Sunday’s polls in Greece, left-wing leader Alexis Tsipras has struck a deal to govern with a fellow anti-bailout party – the right wing Independent Greeks. From this moment there is a government in the country. It may seem an unlikely alliance between parties on opposite ends of the political spectrum. But they are brought together by a mutual hatred for the EU/IMF bailout programme and its consequences for the people of Greece.